Today, dental implants are quite popular. While dental implant costs can seem expensive, they still are a top choice by patients, since they are a high quality replacement for teeth that have been lost. They offer the benefit of being comfortable, permanent and they also help individuals retain their facial structure. 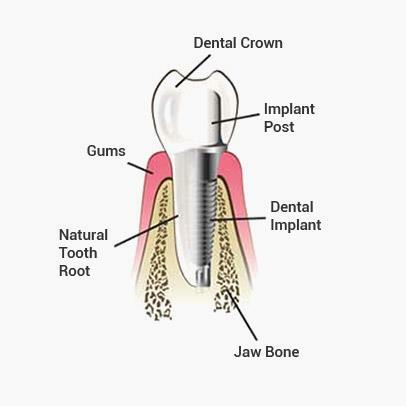 If you need to have implants, you may be wondering if there is a way to keep costs low and find cheap dental implants. First, you need to realise that dental implant costscan range from $2000 to $10,000, depending upon the extent of the work needed. This definitely seems expensive, especially if you are on a tight budget. The good news is that there are ways that you can help lower these costs so they are more affordable. One option is known as same day dental implants. These implants allow you to leave the dentist’s office with your temporary crown on the same day. Then, you can come back to get the permanent crown in a month’s time. Instead of spending months working on the implants, this procedure goes much faster; it can help to lower the overall dental implant cost that you pay. This option often works for single and multiple teeth replacements, depending upon the unique situation. Another option is to consider a dentist payment plan for cheap dental implants. While it may be difficult to come up with the full amount up front, it may be easier for you to pay on the implants over time. Many dentist offices offer great payment plans that allow you to pay on the procedure over several months. This way you can have the needed procedure done without having to worry about stretching your finances. Certain dental insurances and discount plans may be able to help you keep dental implant costs low as well. If you think you may need this kind of dental work done in the future, it may pay off to purchase an insurance or discount plan to help you pay for these procedures. While you’ll never find extremely cheap deals on dental implants, there are ways that you can keep costs as low as possible. Just make sure you get the best possible care so you are happy with the end results.